By using southwest.coastalmonitoring.org you agree to be legally bound by these terms, which shall take effect immediately on your first use of southwest.coastalmonitoring.org. If you do not agree to be legally bound by all the following terms please do not access and/or use southwest.coastalmonitoring.org. The South West Regional Coastal Monitoring Programme may change these terms at any time by posting changes online. Please review these terms regularly to ensure you are aware of any changes made by The South West Regional Coastal Monitoring Programme. Your continued use of southwest.coastalmonitoring.org after changes are posted means you agree to be legally bound by these terms as updated and/or amended. You may not copy, reproduce, republish, download, post, broadcast, transmit, make available to the public, or otherwise use southwest.coastalmonitoring.org content in any way except for your own personal, non-commercial use. You also agree not to adapt, alter or create a derivative work from any southwest.coastalmonitoring.org content except for your own personal, non-commercial use. Any other use of southwest.coastalmonitoring.org content requires the prior written permission of The South West Regional Coastal Monitoring Programme. You agree to use southwest.coastalmonitoring.org only for lawful purposes, and in a way that does not infringe the rights of, restrict or inhibit anyone else’s use and enjoyment of southwest.coastalmonitoring.org. Prohibited behaviour includes harassing or causing distress or inconvenience to any person, transmitting obscene or offensive content or disrupting the normal flow of dialogue within southwest.coastalmonitoring.org. southwest.coastalmonitoring.org content, including the information, names, images, pictures, logos and icons regarding or relating The South West Regional Coastal Monitoring Programme its products and services (or to third party products and services), is provided “AS IS” and on an “IS AVAILABLE” basis without any representations or any kind of warranty made (whether express or implied by law) to the extent permitted by law, including the implied warranties of satisfactory quality, fitness for a particular purpose, non-infringement, compatibility, security and accuracy. Under no circumstances will The South West Regional Coastal Monitoring Programme be liable for any of the following losses or damage (whether such losses where foreseen, foreseeable, known or otherwise): (a) loss of data; (b) loss of revenue or anticipated profits; (c) loss of business; (d) loss of opportunity; (e) loss of goodwill or injury to reputation; (f) losses suffered by third parties; or (g) any indirect, consequential, special or exemplary damages arising from the use of The South West Regional Coastal Monitoring Programme regardless of the form of action. The South West Regional Coastal Monitoring Programme does not warrant that functions contained in southwest.coastalmonitoring.org content will be uninterrupted or error free, that defects will be corrected, or that southwest.coastalmonitoring.org or the server that makes it available are free of viruses or bugs. The names, images and logos identifying The South West Regional Coastal Monitoring Programme or third parties and their products and services are subject to copyright, design rights and trade marks of The South West Regional Coastal Monitoring Programme and/or third parties. 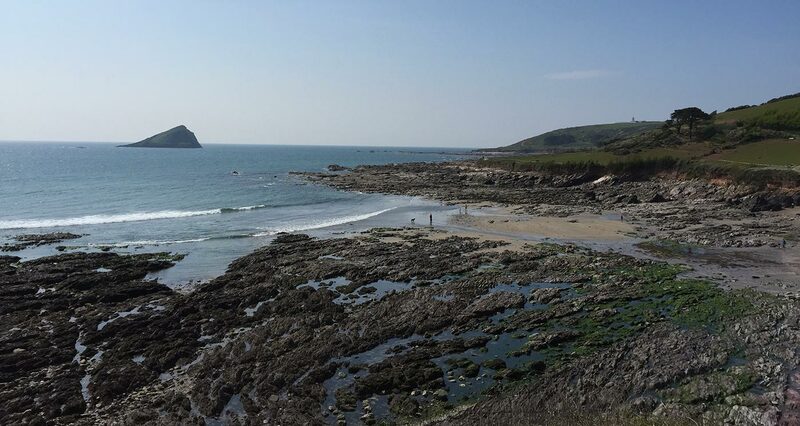 Nothing contained in these terms shall be construed as conferring by implication, estoppel or otherwise any licence or right to use any trademark, patent, design right or copyright of The South West Regional Coastal Monitoring Programme or any other third party. waive any moral rights in your contribution for the purposes of its submission to and publication on southwest.coastalmonitoring.org and the purposes specified above. If there is any conflict between these terms and specific terms appearing elsewhere on southwest.coastalmonitoring.org (including local house rules) then the latter shall prevail.